Anyone who's worked on a large scale Drupal project has felt the frustration of the default blocks system in Drupal. The blocks listing page is one of those places where the blocks system breaks down pretty fast. If you haven't sailed that ship before, then here we give you a preview of coming attractions and explain how the Context module helps out. I'm going to exit out over the overlay. Okay, so let's jump back in. We haven't really been dealing with many blocks here, just this one on this side. 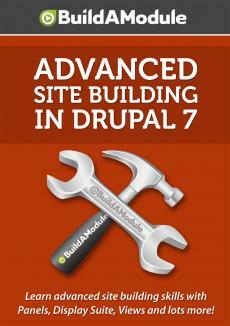 But by the time you get done with a typical Drupal site, you'll have dozens of blocks that you're working with. Sometimes it will reach almost to a hundred. And when you go to the blocks page, I'm going to go to Structure and then click on "Blocks," you see that all of the blocks are listed here in a single list and it gets kind of ridiculous when you start to look at a hundred blocks in this context. It also gets kind of slow. So this is the first limitation of the default blocks configuration page. There are a couple of other shortcomings too.